Someone once said the city traffic is like the circulatory system. The roads are veins. The cars are the blood, or the individual blood cells.We consider the metaphor imperfect. We imagine the streets as veins, while the blood cells are people moving using different means of transport, but mainly on foot. Let us apply our metaphor to Pribinova street, an important connection between the old and the new centers of Bratislava. Unfortunately, it has been renovated according to the old mindset – the basic element consists of a four-lane road, but lacks sufficient “blood” as traffic is low, while sidewalks are narrow or missing entirely for a stretch of the road, as the “vein” construction omitted the sidewalks for “lack of space” reasons. 1. 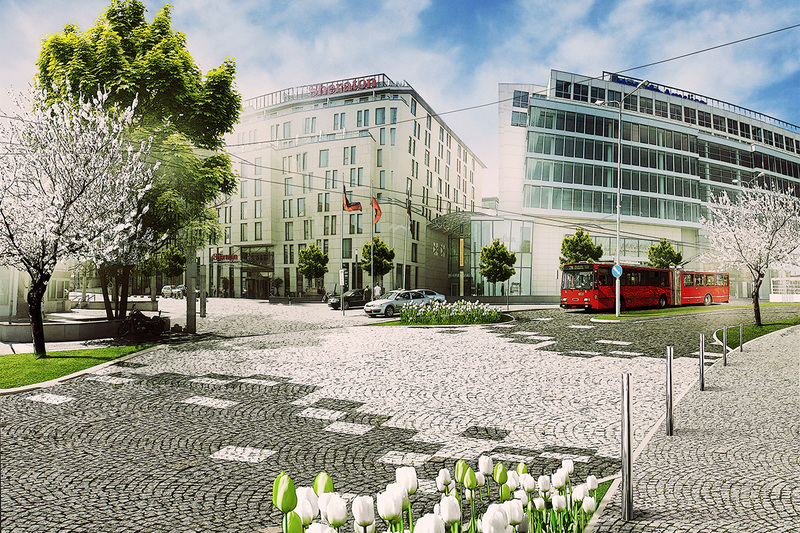 Let us sum up our suggestions in three points:Pribinova street should be one-way from the Umelka restaurant up to the shopping center entrance platform, resulting in a space dedicated to pedestrians and cyclists. 2. 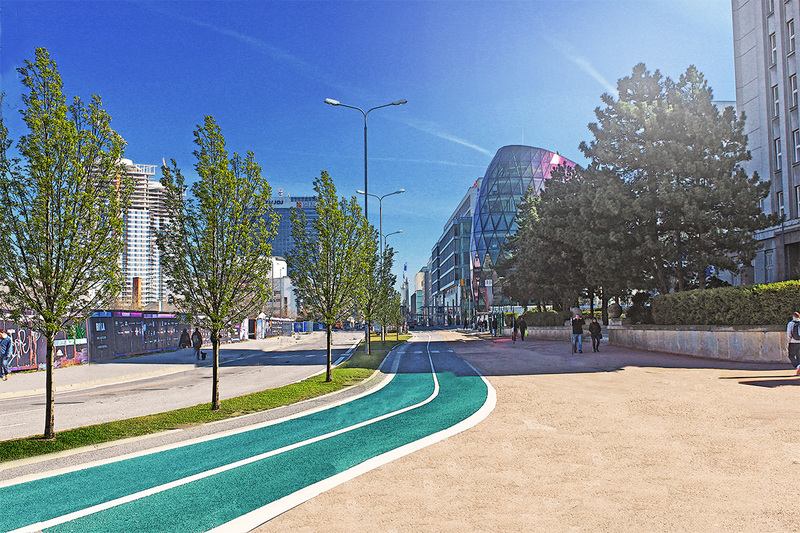 The pedestrian corridor and cycling lane thus created should be softened by color use, pavement construction, plant installations, and continuation of the cycle path by extending the painted road surface to the theatre. 3. The result will be a fair division of the road, including a wide pedestrian boulevard, linking the old and the new centers and making them accessible to everybody.